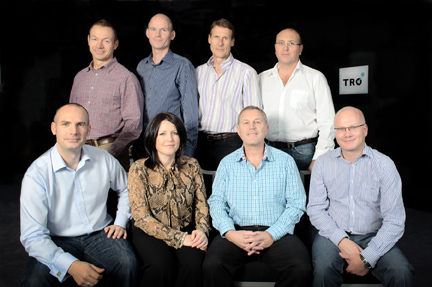 TRO has named Michael Wyrley-Birch as its new managing director as part of a major restructure of the agency's board. The new framework enables TRO’s existing managing director Keith O’Loughlin to take up the role of chief executive, while current chief executive Rob Allen will become executive chairman. Wyrley-Birch becomes managing director with effect from 1 December, and will be joined on the company’s revamped board by client service directors Nick Burrows and Sian Bates; creative services director, Peter Trapnell; and operations director Gary Wootton. Tom Gentle, one of TRO’s founding directors, will also remain on the board as client service director, and Gary Nurse continues as finance director. Allen said the restructure was designed to strengthen the agency’s infrastructure and prepare for further international expansion following its acquisition by CPM UK in 2008. "The existing model of five ‘founding’ shareholding directors fulfilled its job brilliantly when we were confined to two operating bases, with a sphere of operation that was almost exclusively UK-based," he explained. "But since our alignment with CPM in 2008, and our absorption of CPM’s own experiential business, Exentio, we have added a Manchester office and additional operating bases in East Anglia. At the same time, we have progressively taken on more European work and established our first European base with the opening of a German office."